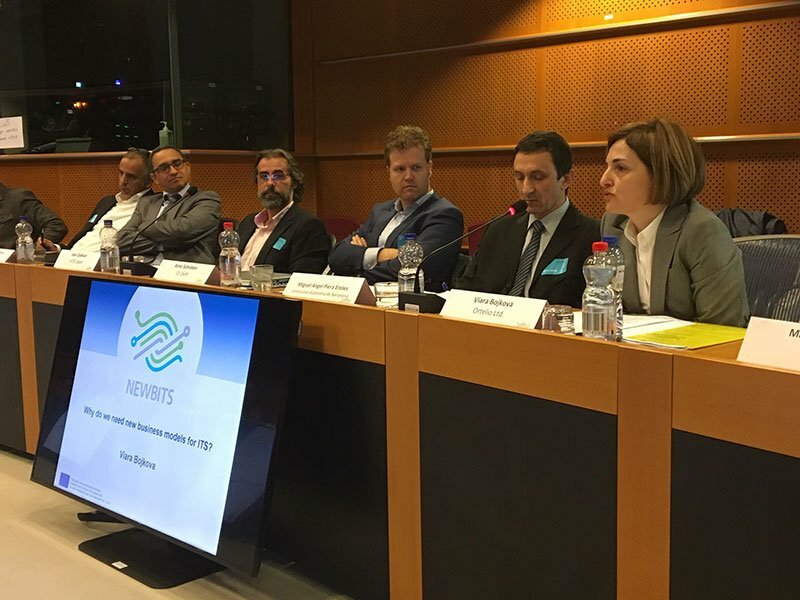 The Consortium of the H2020 project NEWBITS (New Business Models for ITS) held its final conference at the European Parliament on 21st of March 2019, having gathered together guests from the European Commission (DG MOVE), European Parliament (ECR Group), as well as representatives of stakeholders, industry speakers and members of ITS community. 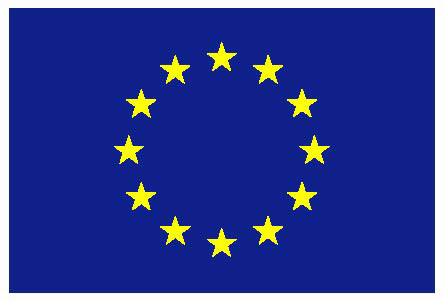 NEWBITS has produced science knowledge to support the development of the European ITS industry, but also to improve the impact of research on European policy-making. The event was endorsed by the ECR (European Conservatives and Reformists) Political Group of the European Parliament via the office of Mr. Angel Dzhambazki MEP, who opened the event and congratulated the consortium on its achievements. 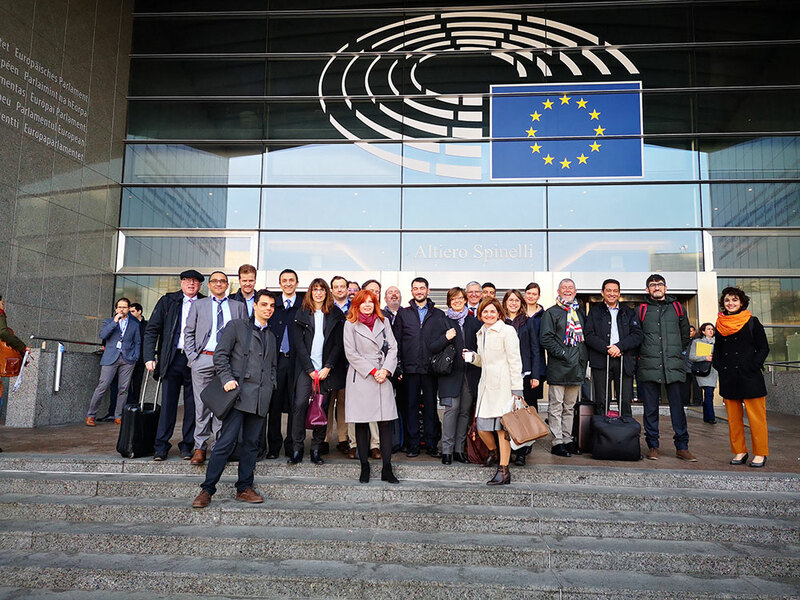 The conference took place at the European Parliament to raise awareness among policy-makers about the challenges of this industry as well as to share scientific facts and results, concepts, definitions and policy approaches. The designed business models were then validated by an extensive Cost-Benefit Analysis, the conclusions of which were enhanced in a practical framework with critical success factors and performance indicators. In addition, to progress the real cooperation between stakeholders in innovative ITS projects, NEWBITS developed a novel collaboration platform for ITS stakeholders, the NEWBITS Network Platform (NNP). The NNP provides stakeholders with various opportunities through the different functionalities to communicate, interact and exchange knowledge and practices on ITS. 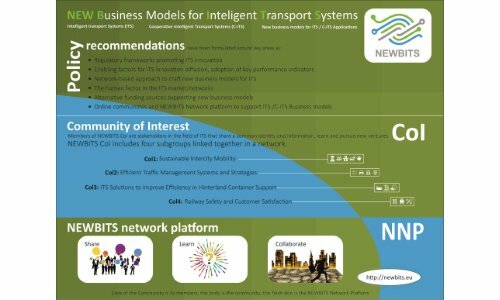 Through the analysis of four different case studies, NEWBITS showed the emergence of new business models described as networks, where stakeholders collaborate effectively by undertaking a particular business role and executing specific functions that add value to the network as a whole. 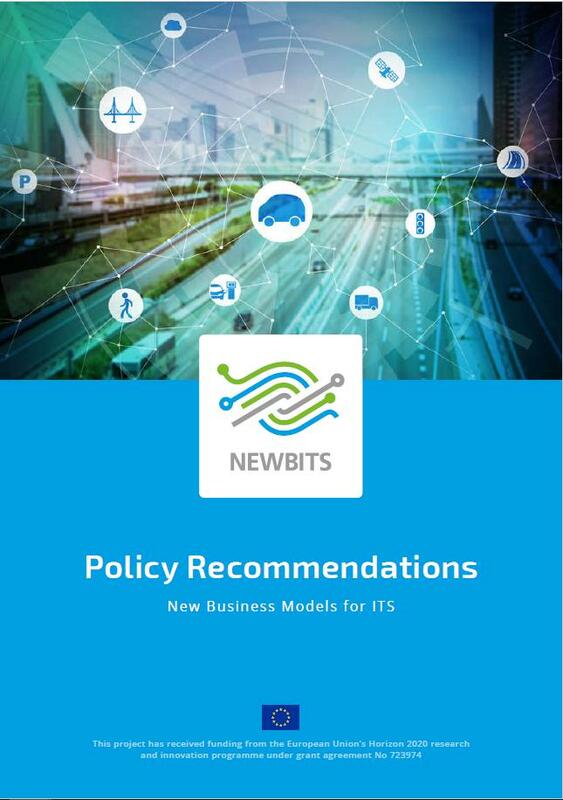 Policy recommendations proposed by NEWBITS further highlight the necessity of approaches that the European policy-makers have to consider in order to allow the emergence of such new business models for ITS services, applications and products. 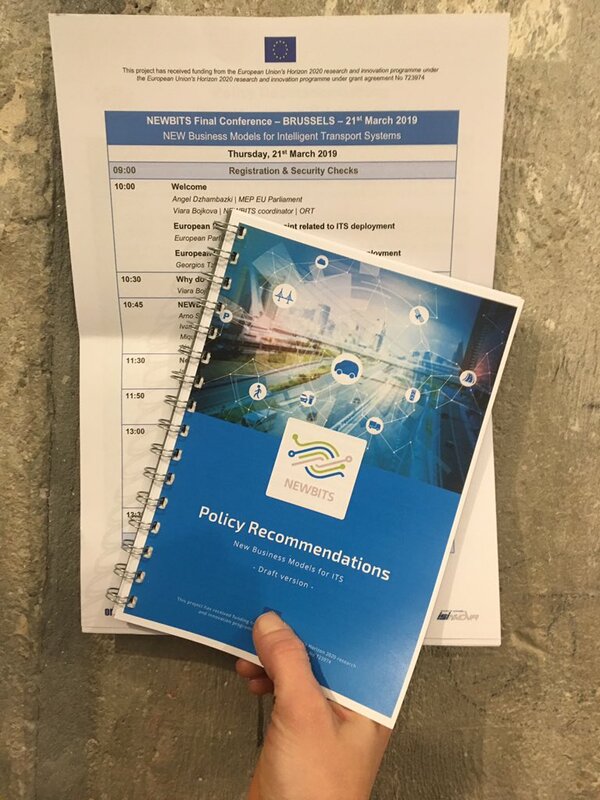 The interactive session that took place during the final conference validated and re-confirmed the NEWBITS recommendations, which were given as major directions in this policy field. As an outcome of the work, the consortium publishes an eBook to disseminate the results, publicize the policy recommendations and further advance this debate. To find out more about NEWBITS visit www.newbits-project.eu, follow the project on Twitter (@NEWBITS_CITS) and register on the NEWBITS Network Platform on https://newbits.eu/.